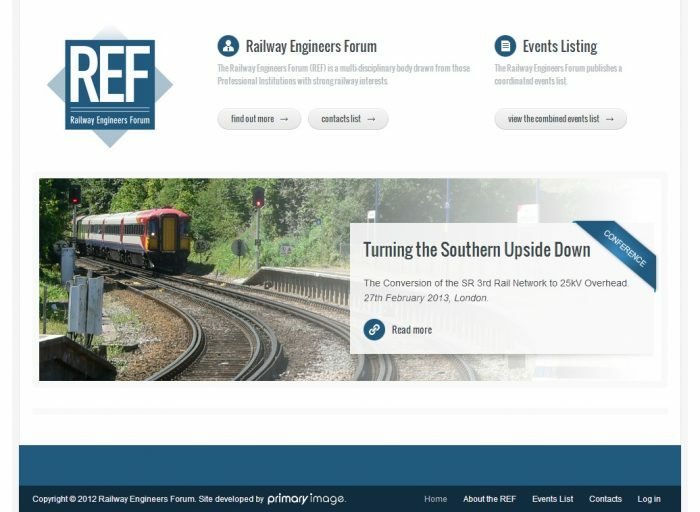 The Railway Engineers’ Forum (REF) got in touch with Primary Image, following our work with one of their members – the Institution of Railway Operators – and they asked us to create a website for their organisation. They previously had no website. The project remit was to design a fairly minimalist site, with just two or three pages, and to give their key annual event – the REF Seminar – prominence on the home page. The logo was designed by themselves, so we picked the colour scheme from this. The in-built Content Management System, based on the WordPress platform, allows the REF to update their website themselves. 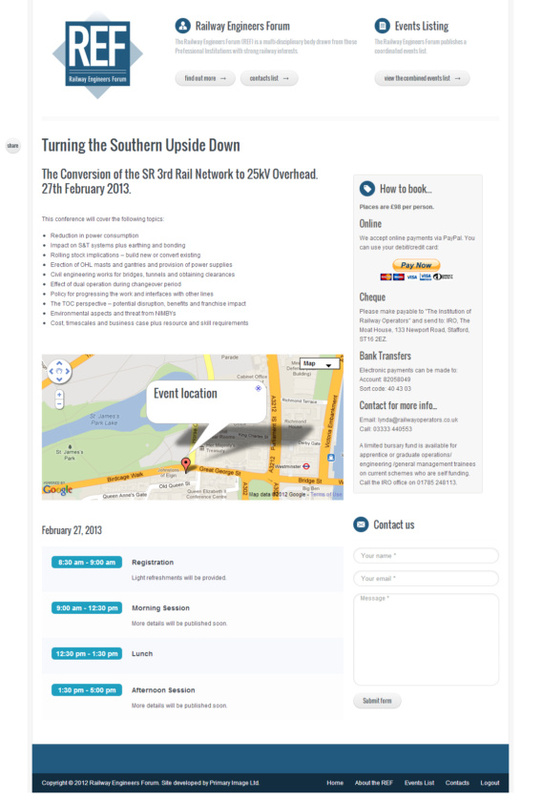 To aid with the presentation and formatting of their website content, Primary Image incorporated a special conference agenda module on the back-end and the facility to add their own images to the large panel on the home page. For the REF Seminar, we also included a payment button for taking ticket bookings online (via PayPal). As well as the front-end website, additionally we were later asked to incorporate a document management system for logged-in users, so that revisions of papers amongst the REF’s committee can be tracked more easily. Primary Image provides a fantastic service. Very quick to respond to queries; forward thinking; and creative.